New Delhi: Mahindra, the Indian SUV maker has announced that it will be rolling out petrol options for the Scorpio and the XUV500 sometime this year. The manufacturer is also looking forward to introduce petrol engines throughout its portfolio. The XUV500 and the Scorpio were banned in the NCR as they both had diesel engines with a capacity of 2000cc and above. 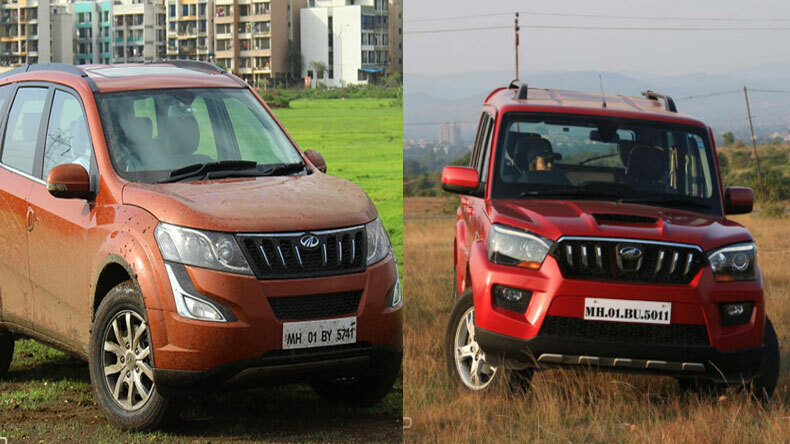 As a result, Mahindra had to launch 1.99-litre iterations of the two, exclusively in Delhi. These scaled down diesel variants produce the almost identical power, which means that the buyers won’t be compromising on the performance aspect. These petrol engines are expected to have a capacity of 1.5-litre, 1.6-litre and 2.2-litre, with the latter one to be developed in sync with SsangYong. Pawan Goenka executive director Mahindra & Mahindra said, “Despite being a diesel player, we had a feeling that a diesel-only approach may not be good enough. Now, we will launch the Scorpio and XUV500 in petrol this year and in future all vehicles will have both options.” As of now, Mahindra only has one petrol engine car in its lineup, the KUV100, which has a 1.2-litre G80 mFalcon engine. Mahindra is also planning on investing Rs 1,000 crore in product development over the course of two to three years, which will further strengthen their engine lineup. As the ban on diesel cars is to be extended to 11 Indian cities, this move by Mahindra will prove to be beneficial. Manufacturers such as Mercedes and Toyota are having a tough time battling this ban and have lashed out at the authorities while making promises of taking strict actions against the ban. Recently, this ban was also imposed in Kerala, but luckily, a stay order was passed by the High Court for two months. We are in dire need of a real solution to settle this debate.